More records. More impact. More Miracles: Walmart 2018 – Walmart Stores, Inc.
Ready set….go! 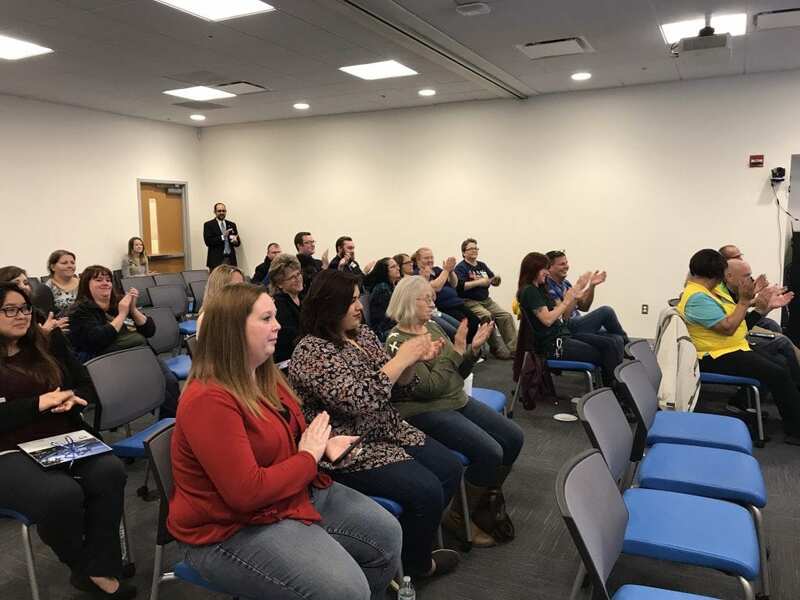 Walmart teams across the Chattanooga region have lots to celebrate this month as they revealed their 2018 CMN Hospitals fundraising totals as…. $242,398 for Children’s Hospital at Erlanger! This is a new record for the 27 Walmart locations supporting Children’s Hospital at Erlanger through CMN Hospitals. 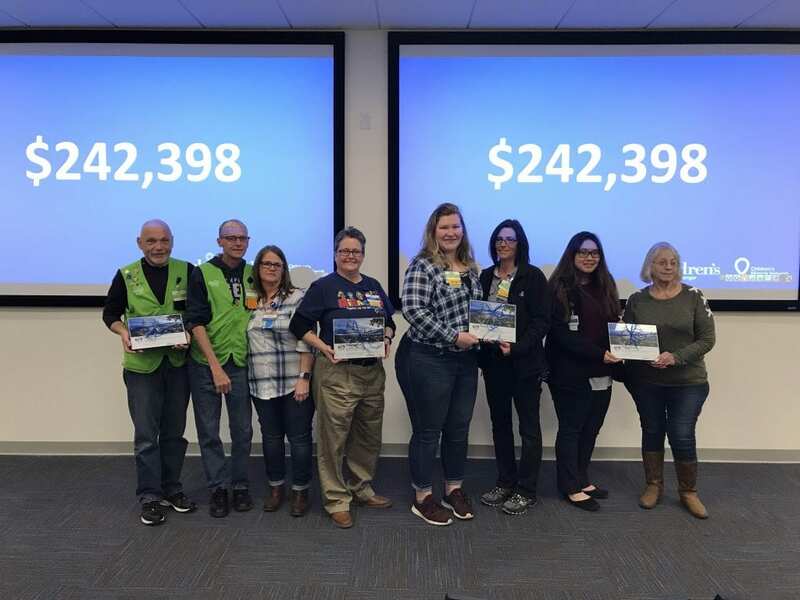 Walmart teams across North America raised over $30 million for local CMN Hospitals in 2018—which means Walmart teams have raised over $1 billion for CMN Hospitals since 1987! That’s right—$1 BILLION! 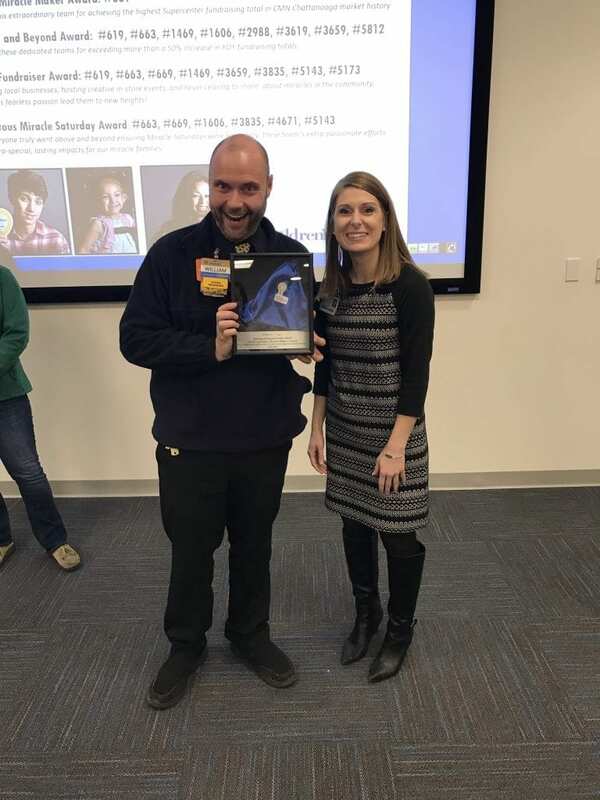 Supercenter #669 and #3659, along with Neighborhood Market #3635 and #3619 attended an exclusive tour of the Kennedy Outpatient Center in recognition of their fundraising achievements and lasting impact on our kids. 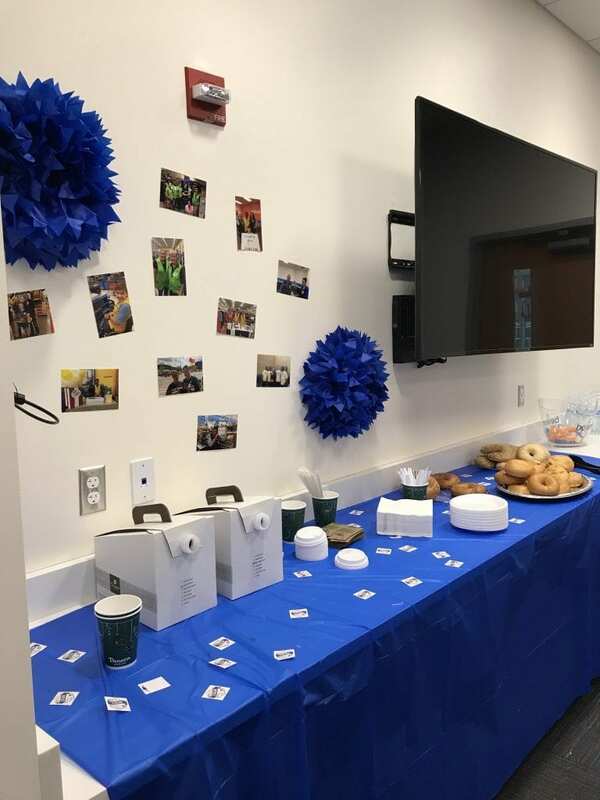 During the tour, Dr. Dave Bhattacharya, Children’s pediatric surgeon, emphasized the impact of the donations raised and personally thanked the teams for their hard work. 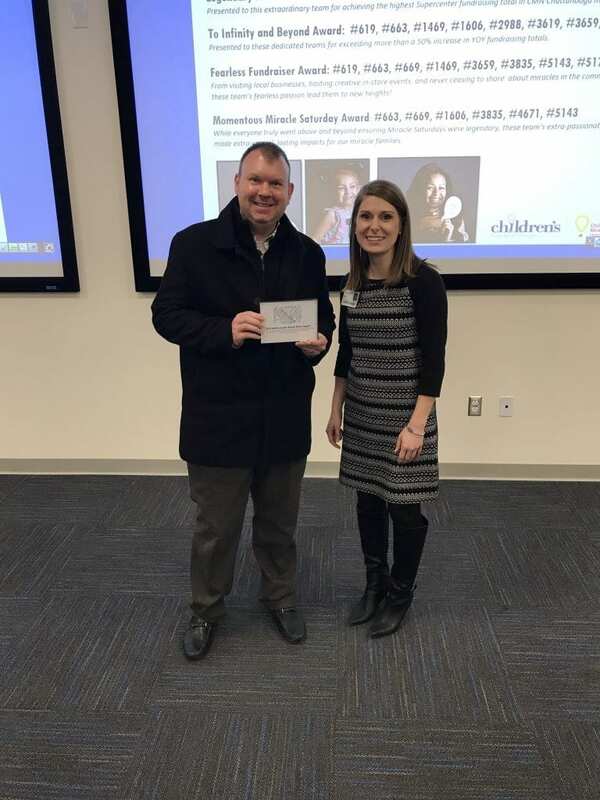 Thank you Walmart for for believing in a billion for our kids at Children’s!